As my husband and I are working to lose weight I keep thinking about starting a Couch to 5k program. The problem is that unless I have an actual 5k to go run at the end I'm not going to stay motivated to keep it up. Knowing this about myself I started wondering how to go about finding a 5k event. Over the Labor Day weekend my sister and brother-in-law answered the question for me when they told me about the Resolution Run. It is a 5k event happening on December 31, 2014. It is part of a larger event encompassing 3 5k runs and a half marathon. My sister said that they will be running this 5k so we decided to join them. We will not be doing all of the events, that is just way to much all at once. They told us about another 5k happening in October, but we decided that isn't far enough down the road for us to properly get ready for it. The end of December is just under 4 months from now. We can currently walk for 3 miles fairly easy doing approximately a 3mph pace. Not bad for where we are now but I haven't done any proper jogging let alone running in years. So my goal for this 5k is to complete it in 30 minutes. That will be doubling our currently pace and I really hope we'll be able to get to that in just 4 months. It won't be a big deal if we aren't able to go that fast, just finishing it will be an accomplishment but I want to try. Also, it sounds to be a good time. 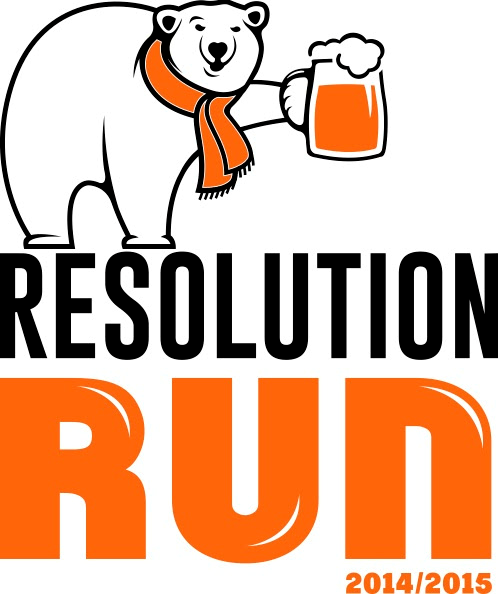 The reason my brother-in-law is particularly interested in doing this 5k is because it is also a Beer Run and he loves his beer. They give you a stein at the start and at check points along the way you get to fill it with beer to drink as you go. I don't know how much beer I'll drink but I'll do it just for the stein. I'm a bit of a sucker for a freebee. So this is my new goal on top of just getting in shape. A goal to help reach a goal. After the new year I'll post Part 2 and relate how it all turned out. If you happen to live in the Wichita area and want the join, the run is being hosted by Go Run Wichita and more information can be found HERE.